The second floor has been designated for quiet study. Try out the carrels (shown at right) upstairs on the west end by the windows. Staffed by NSU education students, supervised by Dr. Timothy Houge, and hosted in the library on the second floor, the Reading Clinic provides literacy assistance for first- through 12th-graders. Any time they're not in use for Reading Clinic activities, the carrels are open for use by library patrons. 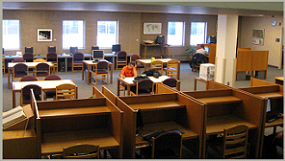 Groups have priority in the small study spaces (seating four to eight) on the first and second floors. No reservations are needed: first come, first served (but please, don't leave your belongings unattended). 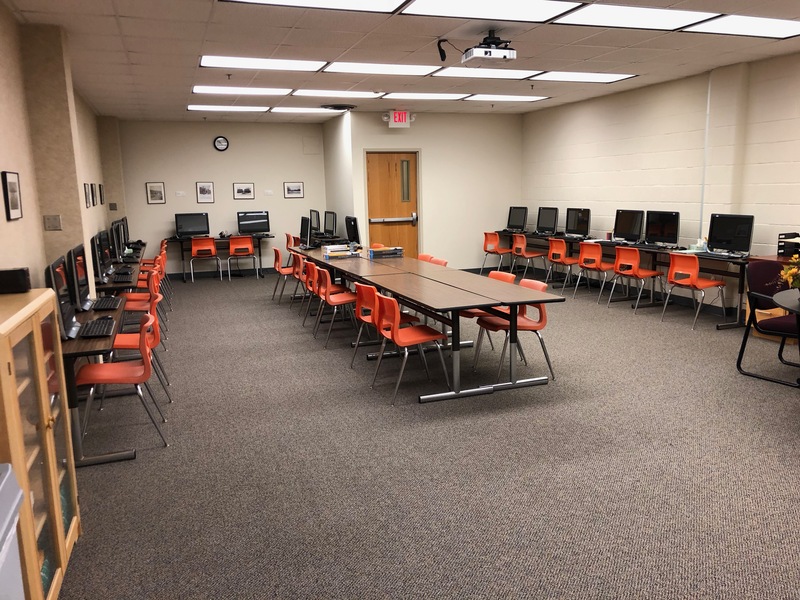 The Collaboration rooms (one on the first floor, two on the second) have 37-inch flat screens mounted on the walls - round up a study partner or two, check out a connecting cable for your laptop at the circulation desk, and work away! Most student-use computers are located to the east of the Chinese Cultural Center on the first floor. Five computers are located to the east of the stacks on the first floor and four computers on the second floor near the stair railings. Two computers on the first floor can be used by the public, although the NSU community has priority. Room 213 is a small classroom or large group workspace. The space has screens into which laptops can be plugged for group collaboration, or that can be controlled from a centralized teaching station. Whiteboards throughout the space promote group work and student engagement. To reserve the room, email Nancy Miller. The library hosts a variety of art exhibits throughout the year. For more information regarding artwork in the library, or to request space to exhibit your art, please submit an exhibit request. 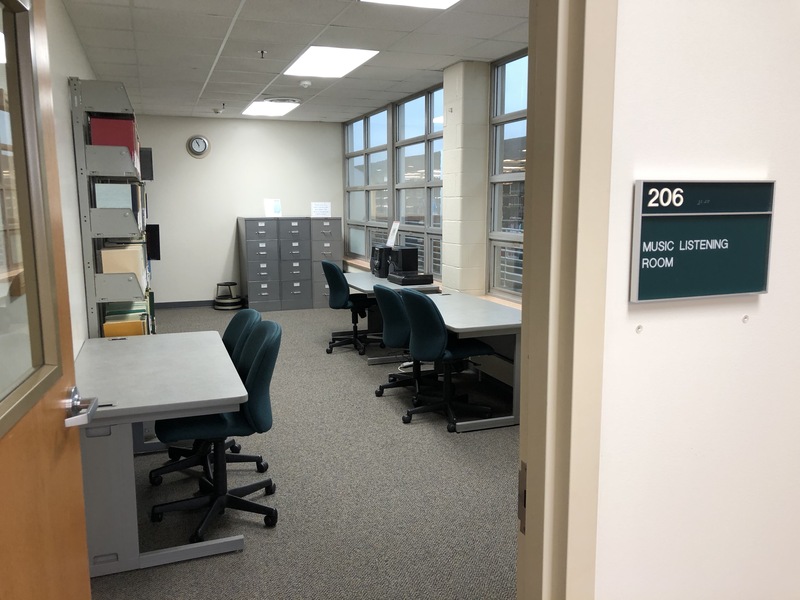 Located on the second floor, this space provides one listening station for accessing music CDs and LPs from the library/NSU Music Department's extensive collection. 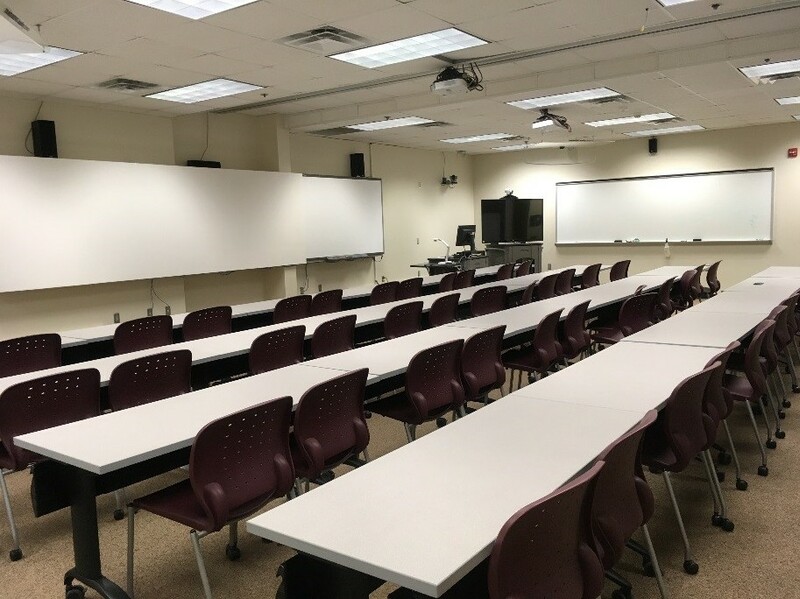 Located on the first floor (straight in, down the hall and to the left) is a room that is used for DDN classes, online meeting spaces, and classroom space. 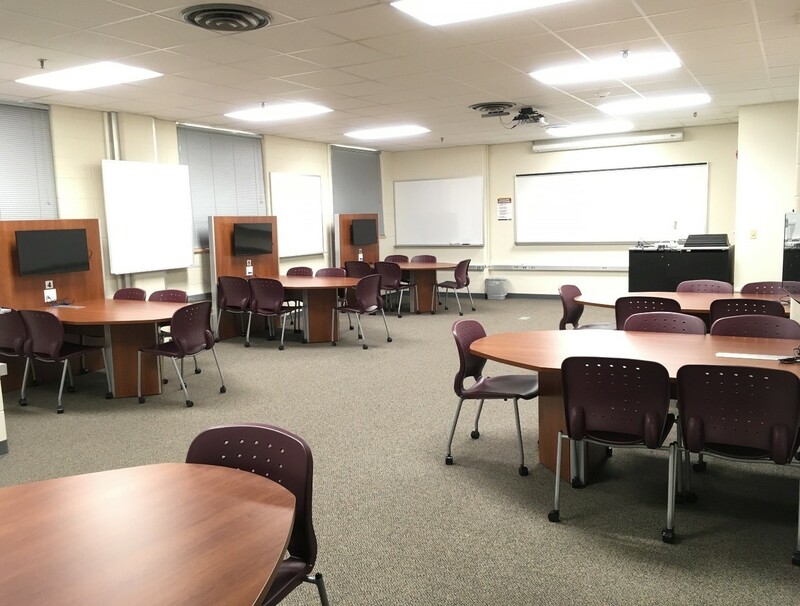 Room 117 may be reserved through the library for use as a group study space, speech practice area, or campus meeting space. Contact NET Services to reserve Room 117 for DDN. Contact Nancy Miller to reserve the room for a class. Room 209 is also available for DDN classes. Contact Technology Services to reserve Room 209. Located on the first floor behind the study rooms is the NSU Testing Center. The center provides testing and proctoring services to NSU students, students taking classes from other colleges and universities, prospective students, and community members. This space is designed to share Chinese culture and history. In this space are artifacts of historical Chinese dress, an interactive touch-screen TV featuring Chinese cultural information, and Chinese language and culture books. The space is very comfortable and a great place to study.